Our 10 week homeschool series classes start in September, January and March. *Early registration deadline is 2 weeks prior to series start week. Students must sign up for the entire series. No Drop-ins. If you are able to form a group of 7 or more students then we can start a new personalized homeschool class outside of our regular schedule. Please contact us HERE if you’d like to form a new group. Want to be notified about future homeschool opportunities and news? Join our homeschool family newsletter! Option #1: For participants 10 years and older. We have open gym times on our schedule on Monday and Wednesday from 11:30-1 pm. These times are self-directed to explore Parkour and our space. Drop-ins are $10 with our morning Happy Hours pricing. 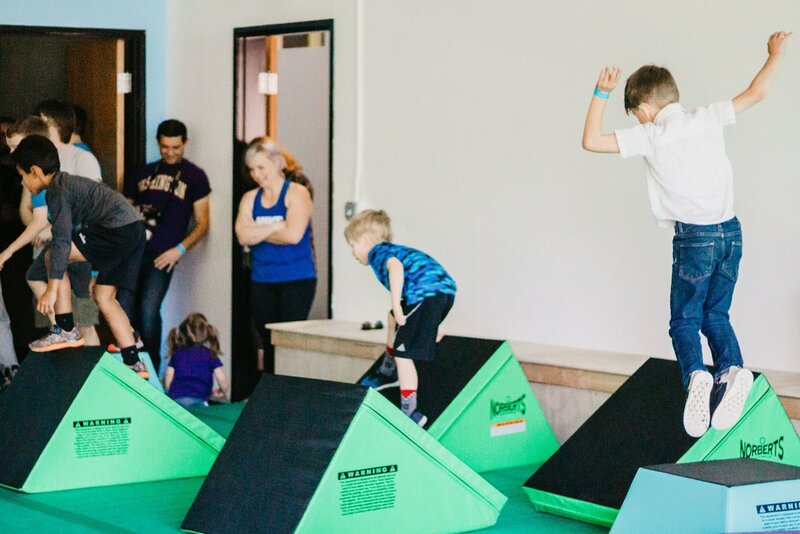 Option #2: Start an intro membership for $70 per month and includes 4 classes on our regular schedule to learn Parkour skills, PLUS includes unlimited open gym & recess times. Take a look at our schedule here to see if there are classes that would work with your schedule. Sign up for info and notification of when registration opens for our Homeschool PE series!